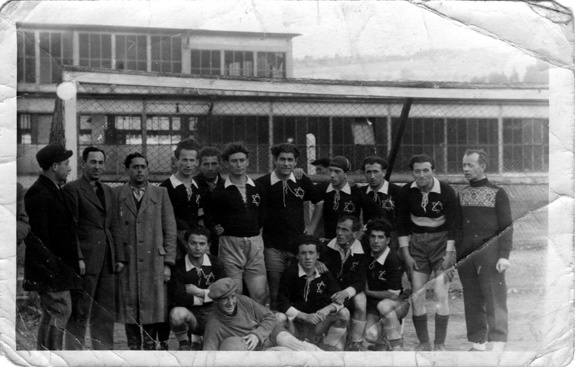 Joe's soccer team, Hapoel. Taken in 1946 in a D.P. camp called Salzheim (near Frankfurt-on-Heine). Joe Engel is kneeling; front row, third from left.